The massive NSA surveillance program appears to have benefits for those who are in control beyond what has been generally acknowledged, which, evidence suggests, includes manipulating search engines to make it more difficult, if not impossible, to access programs about 9/11, even if they are broadcast by as important a source as “Russia Today”. In addition, even as prominent and respected a source as NPR has begun to run a series of animated features about those who died on 9/11, which appears to be a brilliant stroke from the point of view of public relations. Emotions almost always outweigh reason and rationality in dealing with traumatic events, such as 9/11, where they may have found a way to control the public effortlessly. The fact that the lid on 9/11 has been nailed down so firmly for so long creates great suspicion that this case study points to possible obstruction of free information transfer by government agencies recently identified through NSA whistleblowers Edward Snowden, William Binnie, Thomas Drake, and others. That means most of those who might access the program once they have heard about it are going to find it difficult, if not impossible, to locate absent knowledge of the URL, which is not the kind of information that is usually easily accessible. What could be simpler than this as a measure to insure that an important broadcast related to 9/11 does not go viral across the internet? They are simplistic and use animation to appeal to the public’s sense of empathy. But ask yourself, Which is going to be more effective in instilling a version of 9/11? Simple-minded and animated emotional appeals or objective scientific presentations, such as mine from “The Midwest 9/11 Truth Conference” held in Urbana, IL, on 22 September 2013, which requires the exercise of intelligence and a modicum of scientific literacy? I have no doubt that the simple-minded presentations win, hands down! RT and science are effortlessly defeated by these techniques, because the American audience has been dumbed down! At this point in time, I am overwhelmed by the elegance and simplicity of the techniques that are being deployed to defeat the dissemination of 9/11 Truth to the American public. 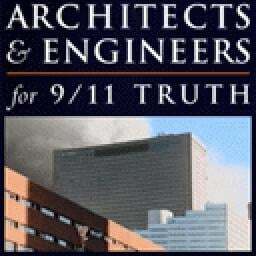 By simply controlling the search engines, the government can insure that only a tiny percentage of the potential audience for an RT documentary on 9/11 will be seen; and by promoting extremely simple-minded productions about each of the victims–which are designed to appeal to small children and unsophisticated adults–they are effectively concealing the truth about 9/11 from those who most deserve to know. Jim Fetzer, a former Marine Corps officer, is the founder of Scholars for 9/11 Truth and McKnight Professor Emeritus at the University of Minnesota Duluth.